Apparently the only jumper I’m ever going to wear every Friday for the rest of my life. It doesn’t get more relevant than this. 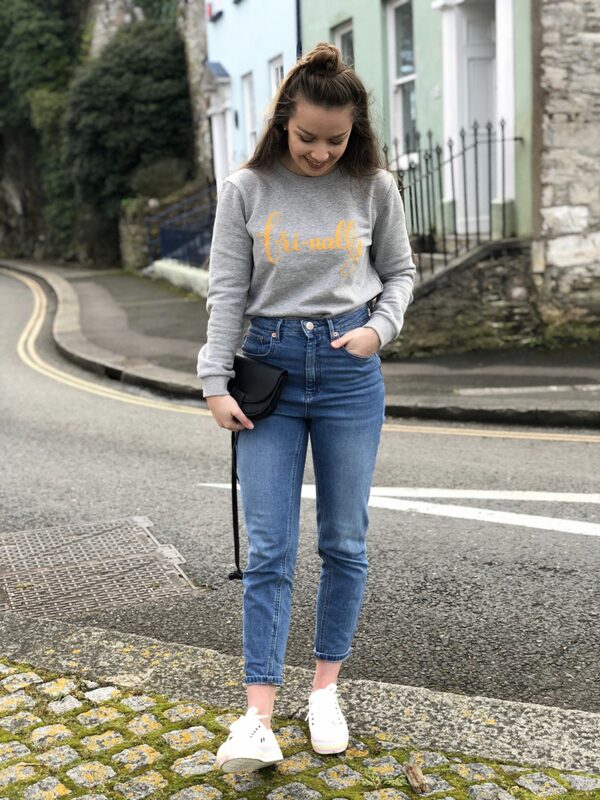 As I added this slogan jumper to my wardrobe I had to stop and think about how many other slogan items I’d bought this year, and I’m not gonna lie, we’re already into double figures here. Why is it that with such an accessible and wide range of clothing at our disposal that I continually buy similar things, huh? Stick with what you know and all that. But I don’t think it’s necessarily a bad thing. I know what my style is and what I like now and if that’s 50 slogan tees that just get me, then so be it. So here’s what I’m usually opening up from my next day delivery ASOS order. As I head to the till with a said slogan item in hand, I always say it will be the last for a while. But let’s be real here, it never is. Why resist though? What is cuter than a slogan/quote tee? 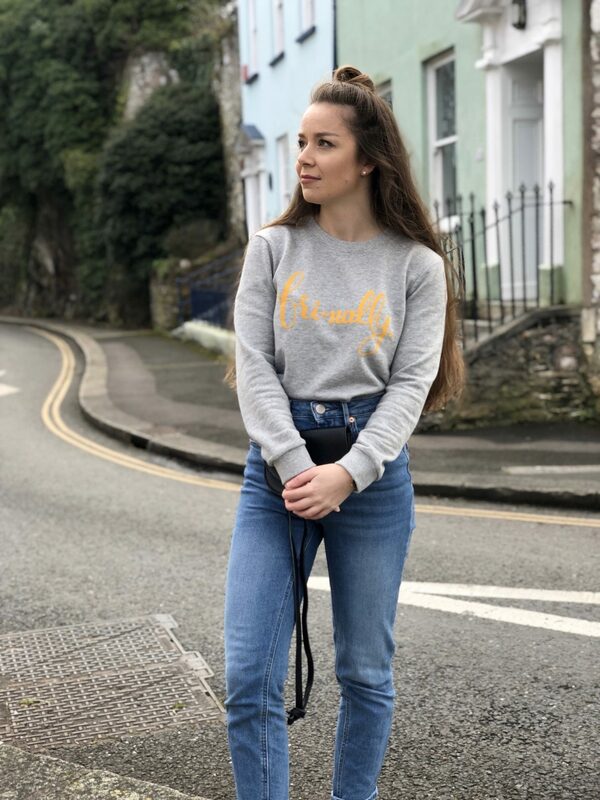 They are unbelievably easy to style and wear with jeans and converse for a casual look that still looks cute. Or they can be dressed up with midi skirts and suede baby pink jackets. Hypothetically speaking. 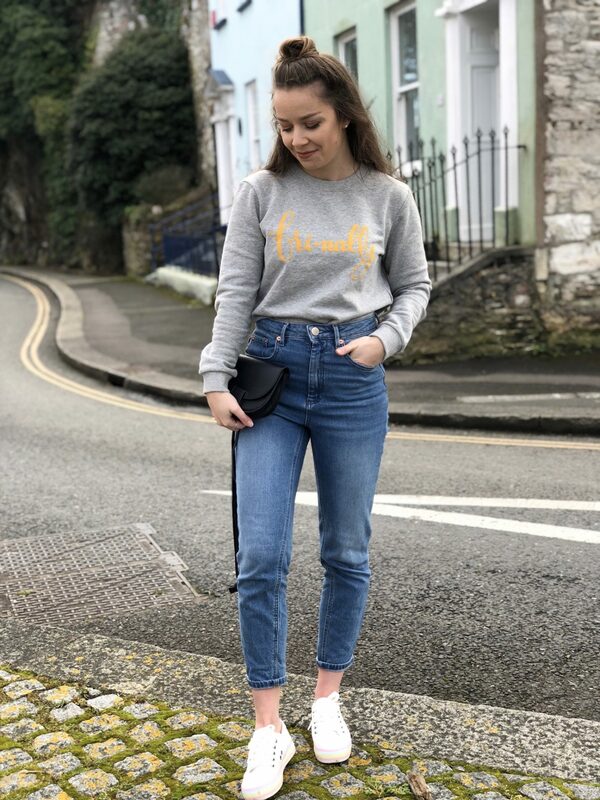 My latest slogan love affair is this Fri-yay slogan sweat from Joy’s women’s clothes . 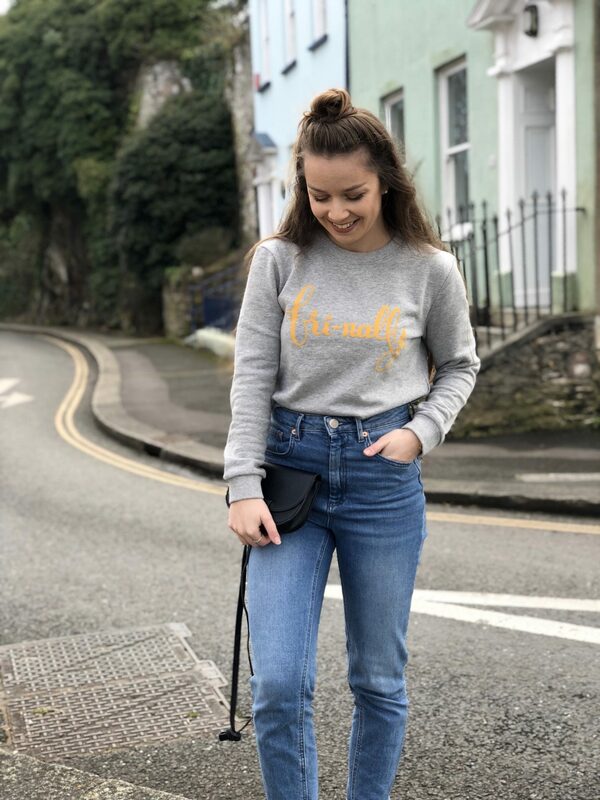 A slogan jumper is the ultimate buy for me as it means I can still wear them throughout winter/spring without having to cover them up with another layer, minus the weather this weekend.. Anyway, I don’t think there’s anything wrong with owning too many slogans. Primark is usually my absolute go to, because parting with £6 each week is basically a coffee, right? The amount of bags I buy is an absolute ridiculous affair. I’m starting to realise that I could have bought the Gucci bag on my want list by now with the amount of clutches, general bags I’ve bought in the last year. I’ve always loved bags, but the problem is that my style keeps changing. I used to like proper handbags you carry but now I much prefer smaller cross body bags so it feels like I’m technically not lugging anything around. Great if you have a bf too,’sorry hun, no space for your phone, wallet AND life today’. I’m not about that life and entertaining it, nuh uh. I also have a bad habit of buying cute bags for Instagram and never using them, guilty. You’d think I would at least have a suitable bag for every night out, but nope. 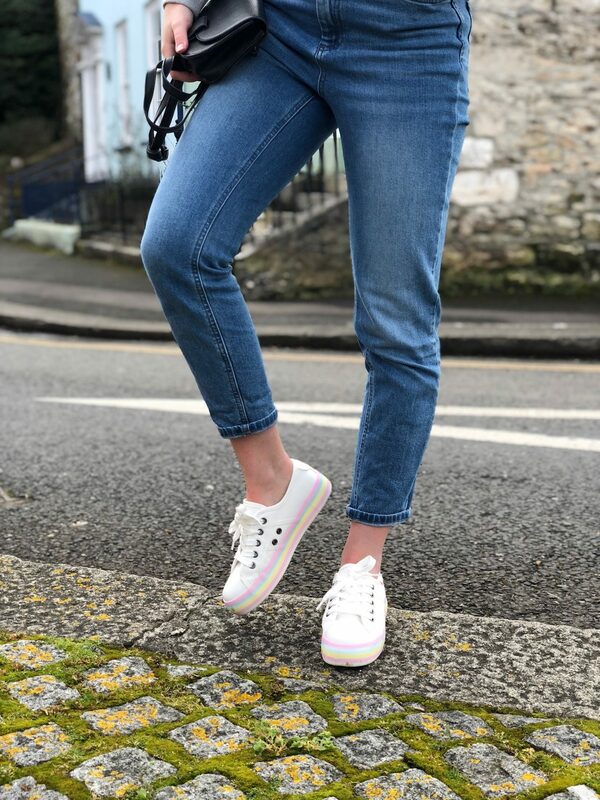 Topshop used to be the only place I trusted to buy my jeans from, then something amazing happened and I decided to try the Farleigh jeans on ASOS. Absolutely changing the game. I have never found a more flattering fit for my figure than their slim mom jeans and I haven’t taken these off since. I’ve already saved every single style into my ASOS saved items, because if you find something that works for you, get it in every colour. These days A LOT of my purchases are motivated by bloggers and influencers. I rarely spend much time in actual real shops now. I’ll usually always see something on a brand Instagram or a blogger beforehand. It’s the quickest way the money leaves my bank account. Influencers really do work. I see the clothing on relatable people that I follow and I want a bit of it too. It’s the place I get a lot of my inspiration from nowadays. They’re my constant stream of a viral wardrobe for me, and I don’t think I’ll ever stop buying into it. Do you have any specific clothes that you continually buy and love? Can you relate to any of these?